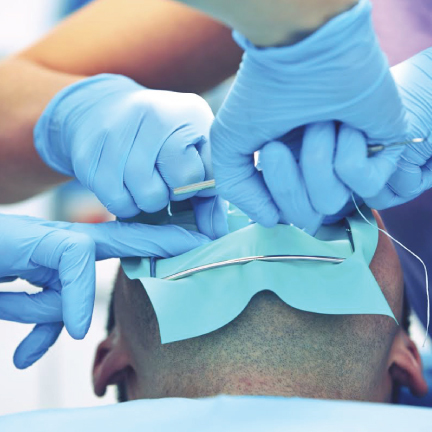 Oral surgery is performed to treat injuries and defects around the neck, face, head and jaw. The most common procedures are dental implants, tooth extractions, and reconstructive surgery. At Sherwood Park Dental, we perform a variety surgical treatments to our patients. 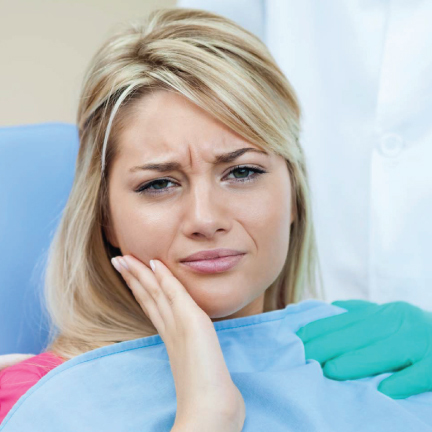 Impacted Wisdom Tooth – Wisdom teeth are the last teeth to develop. It not properly aligned, they can become impacted between the gums and the jawbone, which can be very painful, requiring the removal of the teeth. Dental Implants – To replace a missing tooth, your dentist will surgically implant a metal post in your jawbone, which will fuse with the bone and tissue over time. Dental implants are excellent for those with tooth loss who are looking for a long-term treatment option. Jaw Surgery -Improper jaw alignment can cause a variety of complications. Surgery can be used to restore function and correct this issue. If you have further questions about oral surgery, or you need to schedule that much-needed procedure, don’t hesitate to call or visit Sherwood Park Dental today! A Root Canal is performed to save a tooth that is infected due to a large filling, deep decay, fractured enamel, cracked tooth or trauma. Quality dental care is essential in attaining a healthy smile. Wisdom teeth grow at the back of your gums,in each corner of the mouth, and are the last to come out.